Should there be a minimum wage for tennis players? Here are some numbers showing the sad state tennis is in when it comes to lower-ranked players. Karlovic probably fares better than an average #100 since he has that great serve and was ranked as high as #14. But the picture is quite clear. Subtracting expenses you can about cut that dollar amount in half. Given the way the tour works, how would one be implemented? 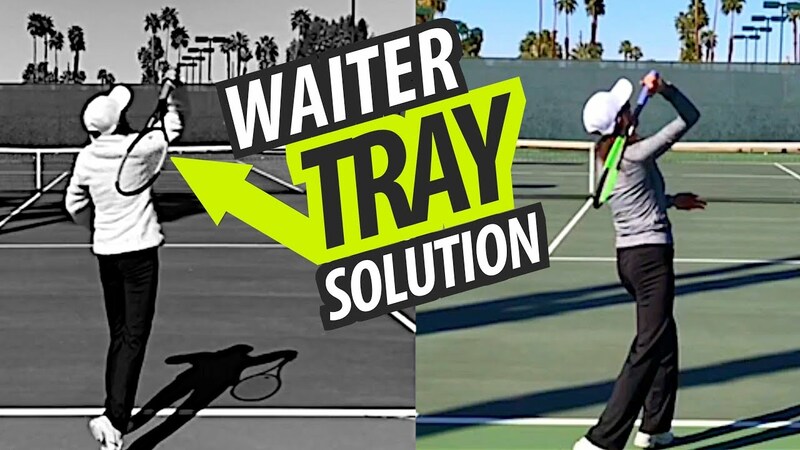 Tennis players should work for tips. That would level everything out. You mean they should serve coffee and omelets between training sessions? Granted it is easier to find problems than solutions. But then I heard a saying there are always more solutions than problems. I felt the GS is paying the players ok (thereby taking care of the top 150), although the winner taking home more than the 64 1st round losers combined is a bit skewed. Have a larger qualification draw and pay those players better. This way maybe the top 300 can be taken care of. Promote doubles harder. I mean most amateur players play doubles but somehow few watch doubles matches. If top 100 doubles teams can be taken care of, that would likely cover top 300~500 of all players. Have more 250/500 tournaments. I notice for example many Chinese cities have started to host 250 and lower level tournaments. These tournaments are where lower ranked players can make money. Set up more stages. This could maybe support top 500~700 players. So, they should get $15/hr, regardless of results if ranked between 101-500? One thing for sure, if you have the talent then you have the opportunity to be the best in tennis. Not in other sports. If I were as good as Fed, I could go through qualies. But, even if I was as good as Tom Brady, I would not even get the chance to tryout for any NFL team. In terms of the time on court, the low ranked players probably are getting minimum wage. if you want young players who aren't wet noodles, then yes being like every other sport that generates a billion+ in revenue and having some sort of pay floor at the highest level would be a good idea. Of course the biggest thing is that the ATP has basically no discretionary control over most of their revenue (the slams) which is why the players have to band together and exert their influence. Also they obviously need some way to collect revenue and allow some of that to be diverted to lower rung tournaments, but I'm not sure how that would work. Easiest fix would probably be to hugely increase the prize money given to players in the qualifying tournaments for slams. Instead of min wage travel and lodging could probably be provided. The overhead is what really eats into the pockets of these players and it would get them on a more level playing field. I know some challengers and futures tournaments do have volunteer host families that put them up but its not standardized and plane tickets are a killer. I’m not sure what the goal is here. The pro tour is basically about winning. You basically win or go hungry. These lower ranked players try it and either win enough to make a living or move on to something else. Most are still young enough to have another career or profession As a tennis fan I’d rather watch the best professional players that have earned their ranking. Making a living as a tennis pro is not easy as are many professions. Ive heard that prize money at the future and challenger level hasnt increased since the 80s or so. The draw size for challengers needs to be increased, the qualifying especially.. And the prize money is just embarrassing. How the top players can go for years without mentioning how there should be substantial prize money increases at the lower levels ill never know. Its so much worse for doubles guys. I played with some of the younger US guys in juniors and college, and they are constantly posting about the disgrace of the new ITF tour on facebook. I forget the chunky Moroccan dudes name- who has those random tour level clay runs in his country. I think his comments were pretty insightful. Basically if you dont come from family wealth or a big federation ( France, USA, Spain etc etc) youre stuck playing very locally and might even find more money playing club tennis. The vast majority of the US players come from family wealth. You could pay players a bonus for retaining a ranking above a certain level for a determined length of time. Someone who maintains a ranking below 100 for twelve months gets a 125,000 bonus. Someone who maintains a ranking below 50 for twelve months gets a 250,000 bonus. Those who maintain a ranking below 25 gets a 500,000 bonus. It would have to exclude those who earn more than a certain limit over that twelve months. The above suggestion probably has lots of holes, but the mechanism is clear enough. Tennis is still a rich man's sport for the majority of the world. Per hour rates of tennis courts are still not very affordable. I am of the understanding that apart from a few real poor to stinking rich stories like that of the Williamses, there is little doubt that most come from reasonably well of families. Besides, one can make a career out of being a coach at a school or a club after their professional careers in the US or Australia, which is unthinkable in some other countries. You are literally doomed if you come from a developing nation and don't cut the top 50 or 100. You need to have money outside of tennis. Could support another 100 full time players by simply lowering first place prize money at the US Open down to a measly 2.5 million and do a similar adjustment at the other slams. Not to mention maybe trimming the winners share of a masters by like 10% of the over 1 million dollar winnings. I think total prize money should be 10-12% of the total revenue created by the event. Also, we should cut the amount winner to quarter finalists get(by 10%) and increase payments to players who loses before 2nd rd of main draw. Or, at least they should pay for hotels(3-4 stars) for the players and operate an ATP airplane to cut the cost of travel and accommodation for the players. Of course, these should only be open players who are outside, say, 100th. I don't think we can provide much more. It's career each individual chose and pursued, by their own choice. ITF, i think that's the $30,000 tournament happening at my local i tennis center. Sure but ain't tennis losing out great athletes to other sports? Why not go pro in baseball, basketball, American football or soccer/futbol where one can be a millionaire as the 500th or 600th best player in the world whereas #300 in tennis is struggling with travel & lodging expenses? Sounds rather risky if one is a talented athlete in more than 1 sport. The minimum wage for U.S workers is around $8 an hour? So that's what they should be paid in U.S tournaments. May bring the price for a hotdog and beer to under 20 bucks. No. After their matches end, players should be allowed to climb the stands carrying a box to collect money. Who said they arent allowed to do that now? It could work like a reverse tax bracket where players are paid every two weeks based on their ranking. Below are numbers representing an annual salary at a given level (eg. Top 1000-501 for the whole year earns 50k in that year.) This means if you win a tournament and move up the rankings, your biweekly pay may increase from the previous payment. I don't really see the need for players to be compensated beyond top 16. These guys are playing for glory, not money. Plus they are big names so they can get money from endorsements. Someone with more time than me could probably collect better data on how much money players need to travel. The numbers I provided where just to help illustrate my idea. As was pointed out, people from smaller countries may need more support, but you could argue that 50k USD goes a lot farther in Morocco than it does in the US or France. This could lead tennis to grow rapidly in developing nations. So like a UBI for all signed-on players and then prize money is over and above that? Sounds good to me and could be easily funded by cutting top end prize money somewhat. I think the ITF should triple the prize money for the 1,2,3 round so at least they can stay in a Motel 6, laundry their cloth and eat at a casual restaurant. Is $300 for 1st round lost much to ask? They have to pay gas money and service their car too! but how will fedalovic sleep at night with their net worths 1 million lower? Tennis is an individual sport, those sports are team sports. As far as tennis, I don’t think the level of play or competition would be raised by distributing money to the lower skilled players. If he is a great athlete he will breakthrough as we often see and it’s because he wins. It’s a tough battle and there’s a small number that can make a living in tennis. What are the barriers in tennis for prize money distribution in ratio to tournament/tour revenue to match other sports? Youd think youd maybe just want to match another sports prize money system? This falls along the lines of the already failed “universal basic income” concept. Just provide player lodges and that would basically sort it out. Come on now. Medial insurance, coaches, physios, equipments are not cheap. Ask tournaments to make public the percentage of profit paid as prize money to players and how much if any they contribute to a fund that helps lower ranked players. In this way, fans can actually help, i. e., boycotting a tournament if it gets too greedy. I still wonder how many young people decide to pursue a career in tennis under these conditions. Talent starts young. If he is identified as a kid with great talent and the family is not too well off, parents might prefer their kid to play in big team sports such as basketball or football than even trying out in tennis because, as an adult even if he does not make the elite cut, he would still be financially set for life. The pro tour is so much more than just winning. Losers have to show up too. They want to win. Often, you don't know who is on the other side of the net. You can't afford a coach. Sorry to be cynical. It takes time to develop a good player. You start when you are so young ... Yes, you should be paid for your hotel and other expenses. You have to eat, train, show up on the court, take a shower etc. The tour is not about the top 10 players. Let's forget about Gods like Roger, Novak or Nadal. They made it but it took a lot of money and energy too. I think ATP have to get more control over grandslams for fair distribution of profit. I think grand slams may be redistributing the money towards subsidising local tournaments and players. I think Australian open subsidising other Australian tournaments. Nothing wrong in that, but atp should have more say in that as they are driving the profit. there should be a "maximum wage". it's ridiculous how much money they make for running around the tennis court, chasing down little yellow balls while school teachers barely make ends meet. The financial return expectancy is just too low in tennis compared to other professionnal sports. That’s why tennis really needs a financial Big Bang and guys like Pospisil are right. Likes: Kalin, uscwang and vive le beau jeu ! Model the wealth distribution of the world. I found this on twitter the other day. Read the whole thread. Even better if the tax loss can be carried-forward without any time constraints. Is that possible? The problem though is that, if youre playing a challenger series tournament theres no interest and no spectators. These tournaments need to be at least partly self sustaining and not just subsidised. In a lower league 4th division football (soccer) match youll still get 5000 spectators turning up every week putting money through the door. Yesterday during the Osaka match the stadium was less than 10% full, no more than 1000 spectators. Thats the World number 1, playing in the 6th biggest tournament of the year, cant get 1000 spectators. If you’re saying tennis needs some kind of farm league to grow tennis pros like baseball then perhaps. There are also tennis scholarships. A player that has the game will usually be ready for the pro tour after a few years of college tennis or even after college. I do disagree with you about The importance of winning on the pro tour. There’s basically 4 categories in tennis 1) recreational-just for fun. 2)HS tennis-winning is great but still play for fun. 3)collegiate tennis-you are expected to win. 4) professional tennis-required to win. It doesn’t make sense to subsidize players that can’t win their matches. As in many professions there’s a threshold, it’s just a cold hard fact that if you don’t make the cut you should move on. True and that’s an issue for all individual sports I guess. Also means that in addition to a financial problem, tennis has a marketing problem. OMG. Absolutely not! Think about how much a tennis player can make without any endorsements at all if they make it a couple of rounds in a major. The most elite players in this sport can make 10's of millions in one year. The most elite figure skaters, gymnasts, divers, almost any of the most popular "Olympic" sports can only make good money from endorsements. The top 5 in tennis are millionaires.. the top 5 gymnasts or skaters in any given year can only make 30K in prize money at the most. Don't even talk about athletes in these sports that are around 30 in the world. They're taking out loans, getting money from fundraising in their communities. Having to work a coaching job. It's just so unfair to me that anyone can go out on a tennis court and hit a hard ball leisurely. Everyone can play league basketball or softball. But not everyone can do a double jump on ice and land safely on something the thickness of a butter knife or run and backflip unto a vaulting table and doing a half twist. In tennis you get what you give. If you're the best or anywhere close to the best you're living a great life. That's a rarity when you think of other sports. I guess my thinking is this. Whenever a sport is able to make an emotional connection between the players and the viewing public, dollars and notoriety increase naturally. Put another way, when people care, they encourage their kids to care naturally. This increases the popularity of a sport from the junior high/highschool level on up, again, naturally. This brings greater sponsorship opportunities, better in community support (for example hotels, travel discounts, volunteer participation), and in general just a greater motivated effort to see that the sport succeeds.